The Alberta government is working to get big money out of local elections while increasing transparency and accountability, so that Albertans get a fairer vote. 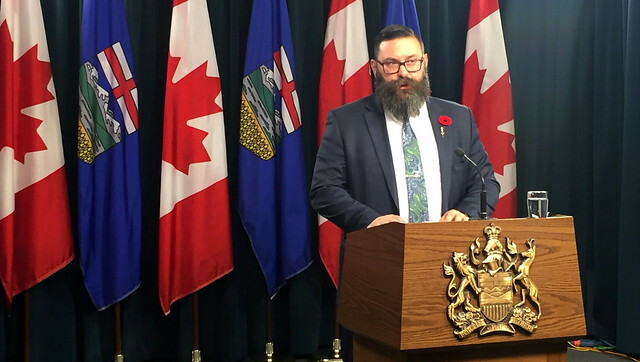 Minister Anderson announces An Act to Renew Local Democracy in Alberta. An Act to Renew Local Democracy in Alberta would make several much-needed updates to the existing act that governs elections for municipalities, school boards, Métis Settlements and irrigation districts. After hearing direct feedback from Albertans, the province is proposing updates which include banning corporate and union donations, lowering contribution limits for individual Albertans and requiring third parties to be more transparent about contributions. The proposed legislation would make local elections more accountable by empowering the Alberta election commissioner to investigate, prosecute and enforce rules related to campaign finance and third-party advertising. General administration of local elections would be left to each jurisdiction. Over the summer, Albertans, municipal associations, school boards, Metis Settlements, Alberta’s election commissioner and municipalities were consulted about possible changes to the legislation. Lowering contribution limits to $4,000 provincewide for municipal elections, as well as $4,000 for school board elections. Reducing the campaign period from the current four years to one year and limiting fundraising and contributions to only that period. Closing the fundraising function loophole that allows candidates to raise funds without disclosing their donors. Requiring communities of more than 5,000 to hold advance votes, which would provide more opportunity for residents to cast ballots. Establishing a future regulation that would set campaign spending limits for municipal and school board elections, following stakeholder consultations. Requiring campaign disclosure statements from all candidates, including self-funded candidates.